SKU: CLO0991DVD. Categories: DVD, Cleopatra Entertainment, Documentary. Tags: Annette Humpe, Conny Plank, Gianna Nannini, Milena Fessmann, Reto Caduff, Stephan Plank, Ziska Riemann. 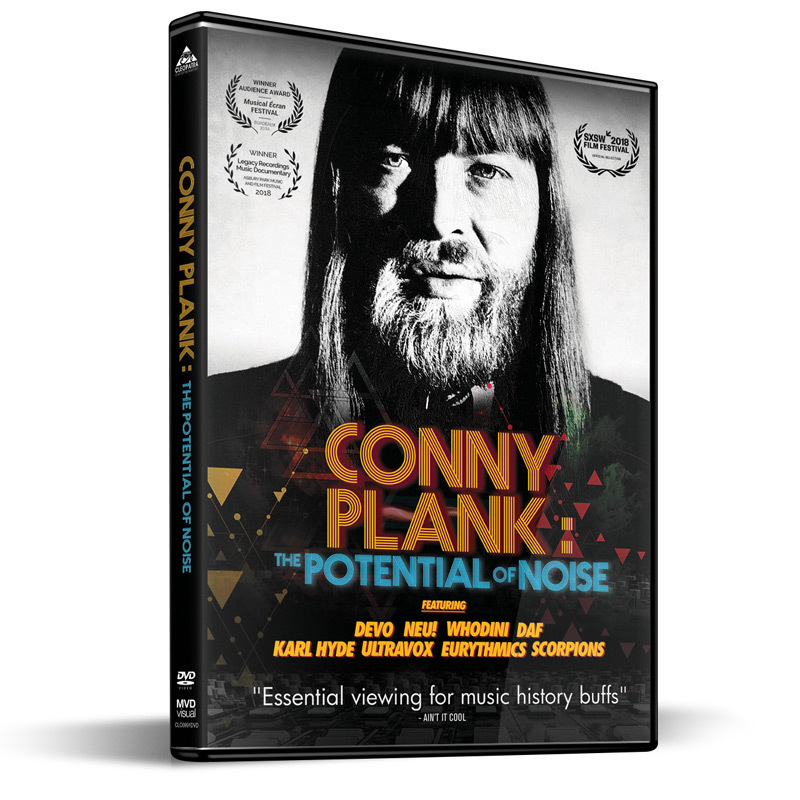 Conny Plank was one of the most innovative sound experimentalists, producing recordings that revolutionized music that still is as valid as ever. He became a hub in the new German sounds. Producer, sound engineer and musician covering a wide range of genres including progressive, avant-garde, electronic music and krautrock. Dying at only 47, Plank left behind a wife, actress Christa Fast and a 13-year-old-son, Stephan. Now, 20 years on, Stephan sets out to find his father, the film taking a journey through music history as well as around the world, to give an unusually intimate and emotional view of the artists, their work with Conny Plank and the many musical traces he left behind.